LibreOffice is a complete productivity suite including word processor, spreadsheet, presentations, database, drawing tool and more. Includes strong compatibility for 100s of file formats including Microsoft Office (Word, Excel, PowerPoint, Visio etc.). The program is similar to OpenOffice, a program that it was derived from, but has added many new features and improvements. 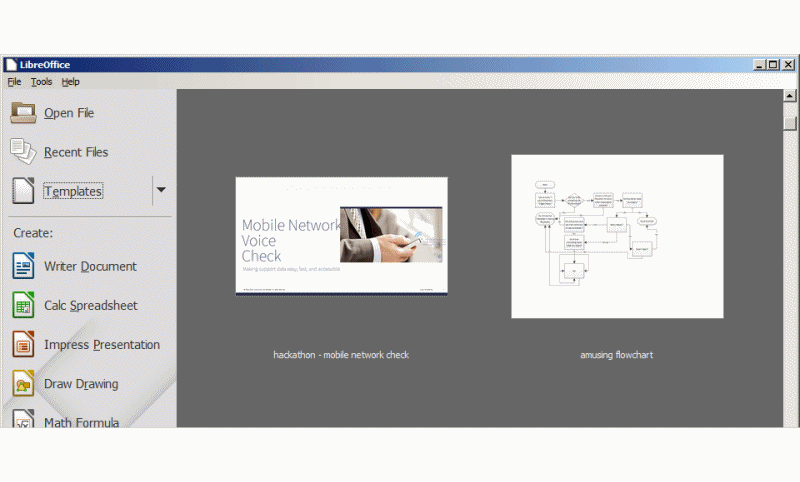 LibreOffice Portable is a special build developed in conjunction with the publisher. On systems without Java installed, some functions such as document creation wizards and the Base database application etc. can be enabled by adding jPortable, though this is optional and can be skipped if those functions are not needed. Alternatively, X-LibreOffice is also available. The program is cross platform with versions available for Mac, Linux/BSD (comes default with most distros) and supports a variety of extensions. How to extract: Download the portable installer and install to a folder of your choice. Launch LibreOfficePortable.exe. LibreOffice Portable Still 5.4.5 was released almost a month ago and fixed the shared DLL issue on Windows XP. DocFetcher indexes your computer, making the contents of a wide variety of files instantly searchable. Selecting a search result shows a preview of the file with text highlighted and without formatting. You can filter results by location, file type, minimum and/or maximum filesize and more. The program can index Microsoft Office, OpenOffice/LibreOffice, PDF, RTF, EPUB, HTML and more formats from drives, external volumes, archive files and Outlook .PST files (some .OST files also work). Cross-platform and functional on OS X and Linux. Functional on 64-bit Windows. Note: DocFetcher requires that you manually add folders/drives that you want to view before searching. See the "Basic Usage" section of the homepage for a few intro steps. When adding to the search scope, make sure to check "Store relative paths if possible"
Dependencies: Java Runtime Environment 1.7 or higher, see forum for use with Java Portable. How to extract: Download the "portable" ZIP package and extract to a folder of your choice. Launch DocFetcher.exe. Tremendous search program that has saved me again and again, finding files and content that other programs miss. Each version seems to add to the pile of file formats it can index. As a result, it's on every machine I own and some I don't. DocFetcher indexes many formats, such as LibreOffice documents, that Microsoft Search (aka Cortana) does not, or does incompletely. It also uses far less CPU time, once the initial indexing is completed, than MS. DocFetcher also runs on Linux. Results can be sorted by likelihood of match, as well as filename, type, date etc. Only downside is that it requires Java. Apache OpenOffice is a full-featured, cross-platform office suite compatible with all major office suites and 100s of file formats. Includes word processor, spreadsheet, database, presentations, drawing and math/formulas software. 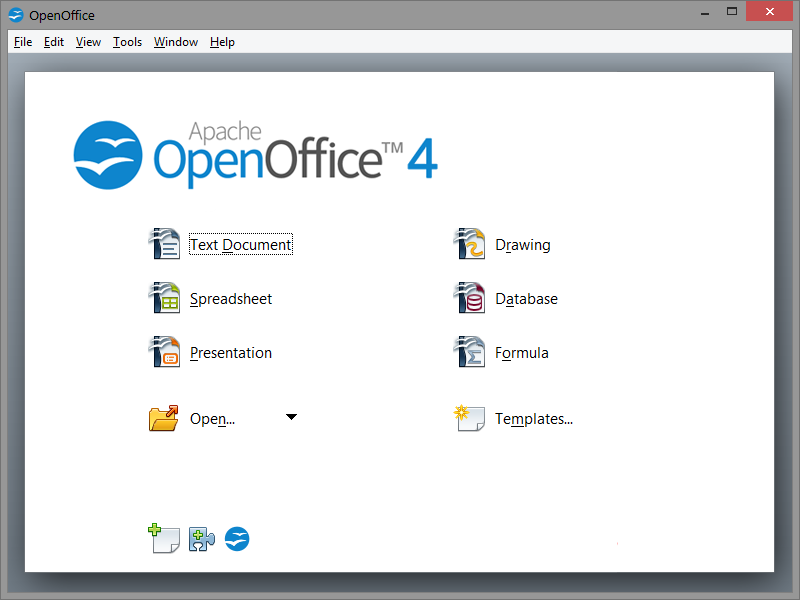 X-ApacheOpenOffice is a portable version of Apache OpenOffice. Alternatively, Apache OpenOffice Portable is also available. How to extract: Download the ZIP package and extract to a folder of your choice. Launch X-ApacheOpenOffice.exe. https://portableapps.com/apps/office/openoffice_portable Version: 4.1.4 10/19/2017. Version: 4.1.5 is listed on OpenOffice site 12/28/2017 release. @PAFuser: yeah I think we'll have to switch over to the PA version. Sigh. IECacheView reads the cache folder of Internet Explorer and displays the list of all files currently stored. For each cache file, the following is displayed: Filename, Content Type, URL, Last Accessed Time, Last Modified Time, Expiration Time, Number Of Hits, File Size, Folder Name, and full path of the cache filename. The information can be easily saved to a text/html/xml file, or copied to the clipboard and pasted to another application, like Excel or OpenOffice spreadsheet. How to extract: Download the ZIP package and extract to a folder of your choice. Launch IECacheView.exe. Fixed another bug with 'Error -1:Unknown Error!' message randomly appeared on Windows 7/x64/IE11 systems.